Got both the Big Fish and Spicy Big Fish for five dollars! The Big Fish is 100% White Alaskan Pollock, breaded with crispy panko breading and topped with sweet tartar sauce, tangy pickles, all on top of a toasted brioche-style bun. The Spicy Big Fish replaces the sweet tartar sauce with a creamy spicy sauce. In my opinion, the Spicy Big Fish wasn’t that spicy – simply a bit spicier than the standard Big Fish. I actually missed the taste of the tartar sauce – I guess I’m just used to it on these kind of sandwiches. All-in-all, it was a good lunch – as good as it could be without meat. 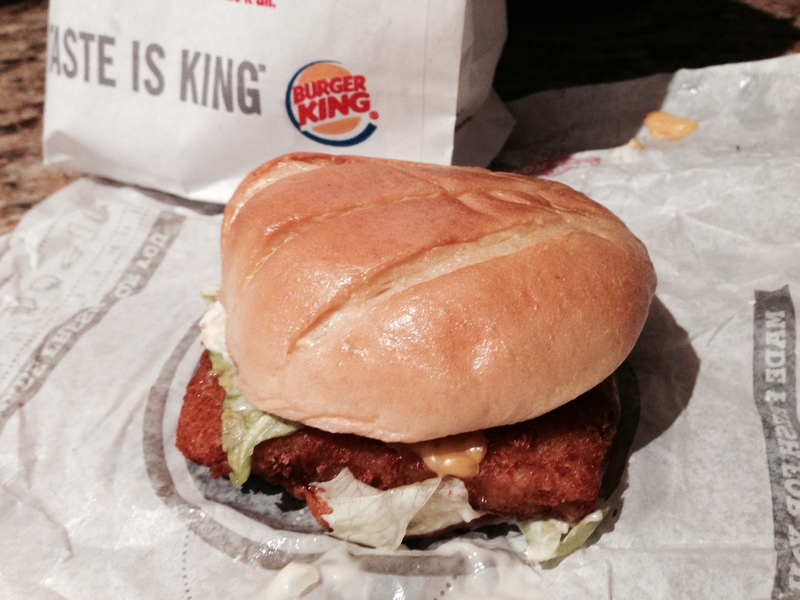 And get this – the current Burger King promotion is “2 specialty sandwiches for $5″… can’t beat that! So last Friday, I tried Wendy’s Premium Cod Fillet to compare it to its Irish-sounding counterpart at the famous clown’s restaurant. It was good – but twice the price. 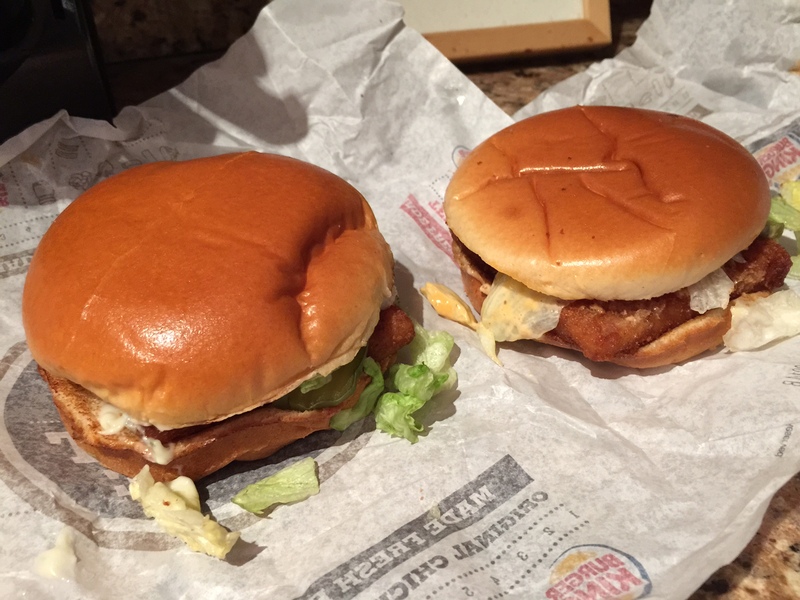 Today, I was thinking about another competitor – Burger King. When I went to my local BK, I noticed that the menu was missing the fish sandwich that I remember – the Whaler. Apparently, they changed the name of the Whaler to the “Big Fish“. So I decided to give it a shot. The consensus? Definitely worth your money – probably the most bang for your buck among the “big three’s” fish sandwiches. So if you’re trying to save money during Lent, check out the Big Fish. However, I still like the name “the Whaler” – it reminds me of the Hartford hockey team. Check out this great Whaler commercial from 1983.